Pick up your last minute gifts. Here is a great deal at 72% off. 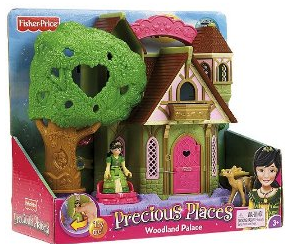 Fisher Price Precious Places Woodland Palace is only $4.99 (org $17.99) and ships free with Amazon Prime.